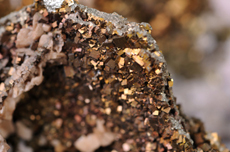 We routinely perform full scale analyses related to the discovery and extraction of a wide variety of commodity constituents from earth materials. We perform ultratrace analyses for baseline geochemical exploration and modeling in rock, soil, sediment, water and biota samples. In addition, we provide full analytical support for orebody evaluation, mineral beneficiation and recovery processes, concentrate and product purity, and site reclamation. Please contact us for project pricing information and/or a formal quote. Individual analyses pricing and information can be found under other sections of this website (e.g. By Analyte, By Technique, etc. ).